I have done this 100-mile ride at least twice in the past. 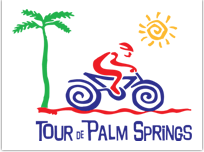 It’s a fun ride and the weather in Palm Springs in February is perfect. This will be my first Century of 2018 and will be a great event to build up my strength and endurance for the Sixty-600 Challenge. The photo below is during the first few miles as we ride out into the desert. Most of the ride isn’t quite as desolate as this image implies. If anybody wants to join me on this ride….let me know! Registration is $85.